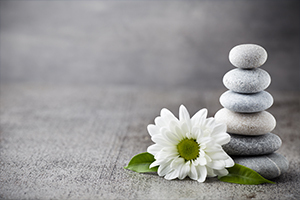 Hypnotherapy is a complementary therapy that uses hypnosis to promote relaxation and tackle various long-term conditions, including dealing with chronic pain and breaking unwanted habits. The aim is to achieve self-control of certain processes that occur in the body, specific behaviours or emotions by moving attention from the external environment towards a narrow range of ideas or objects suggested by the therapist and agreed with by the client. Through this shift in focus, an altered state of consciousness is achieved allowing easier access to the subconscious, day-dreaming mind, the part of the mind that is much more open to suggestion than the conscious, thinking mind. Using hypnotherapy to treat musculoskeletal conditions such as arthritis, lower back pain and fibromyalgia involves changing a person’s experience of pain or altering illness-related behaviour and the medical profession is at last seeing hypnosis as a real alternative in terms of supporting people deal with physical ailments, as well as stress and anxiety. Hypnosis helps people deal with pain by reducing their anxiety and stress levels, both of which can exacerbate pain. The latter is more than just a simple reaction to a physical problem, such as inflammation. How we respond to pain, and often become defined by it, can be the restrictive block that hypnotherapy could start to shift. The technique helps to manage pain so people can live with it and enjoy a better quality of life. There are many myths around hypnosis, thanks to what we’ve seen on stage and film that need to be dispelled for hypnotherapy to be given a chance to work. The therapist can make suggestions by way of treating medical and psychological conditions and influencing changes in behaviour, however, the zombie-like conditions created purely for entertainment purposes are not relevant for healing purposes and are, therefore, not for discussion here. The client remains in complete control throughout the therapy session. No-one can be made to do things against their will, nor can anyone get “stuck” in hypnosis. In addition, the subject is awake and aware – extremely so, in fact – it is just that their attention is being focused directly on something so specific, it means they can appear to be totally oblivious to anything else. Also, please don’t think that it is only the weak-minded who can be hypnotised – in reality, the opposite is true! In fact, the more intelligent and open-minded one is, believing that anything is possible in terms of behaviour change, from attaining your perfect weight, to ridding yourself of any phobias or bad habits forever, then a successful outcome is guaranteed…….as long as you believe in the power of the subconscious mind and really want to change……and there lies the crux of the matter. It is only when the real resistance to a particular issue has been dealt with, and fully released, that we can move onto the hypnotherapy proper for it to do its work in terms of making change last for good. While we know that shutting off pain may indeed be possible, it is important to remember that pain is also a vital life signal and something never to be ignored. When in shock, carrying on regardless, due to an excessive release of adrenaline enabling us to cope because we’re not feeling any pain, may be all well and good in such situations, but in everyday life, learning to listen to your body while making the most of your mind could actually save your life. We are at last accepting that emotions and the body are intrinsically linked and outside of our direct control – blushing when embarrassed, for example, cold sweats when scared etc. – and the two cannot be split into separate camps. It has been proven that surgery can be carried out without the use of an anaesthetic on some people, so whether you choose to believe in the power of hypnosis or not, there is obviously some part of the brain that we have yet to appreciate and fully understand.